ARLINGTON, VA - January 22, 2019 - Hobsons, the education technology leader and company behind Naviance, announced today that Dr. Kim Oppelt, Director of Research will present at the Texas Association of School Administrators (TASA) Mid-Winter Conference 2019 at 2:15 p.m. (CST) on Monday, January 28. The Texas Association of School Administrators (TASA) is an organization of more than 6,000 school leaders from across Texas who inspire others as they work to prepare future-ready students. The TASA Midwinter conference provides leaders the opportunity to come together and share innovative practices, network with peers, address the administrative issues administrators face every day, and gain fresh insights. The panel will be held at the Austin Convention Center in room 18C. The presentation will discuss the need to expand the definition of college and career readiness to incorporate SEL, interpersonal, and transition skills that students need to be successful post-high school. Dr. Oppelt and Dr. Salazar-Zamora will discuss the innovative solutions they have used to make students aware of post-secondary opportunities, how schools have connected with local industries, and the metrics they rely on to inform these decisions. 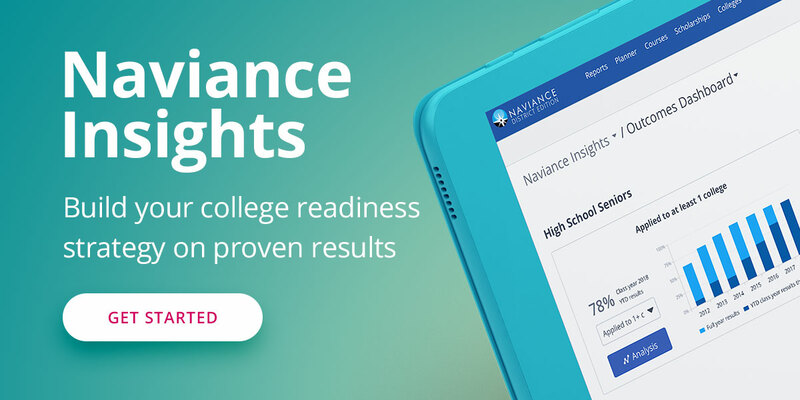 Conference attendees are invited to stop by Naviance by Hobsons’ booth (#251) to speak with Naviance team members and to pick up a complimentary copy of the College, Career and Life Readiness (CCLR) Framework booklet. A leader in education technology, Hobsons helps more than 13 million students to identify their strengths, explore careers, match to best-fit educational opportunities, create academic plans, and reach their education and life goals. More than 13,000 K-12 and higher education institutions partner with Hobsons and leverage our expertise and our solutions -- Naviance, Intersect, and Starfish -- to improve college and career readiness, college recruiting and admissions, and higher education student success to support millions of students. Our leading college and career readiness platform Naviance was named the 2017 and 2018 SIIA CODiE Award winner in the Best College and Career Readiness Solution category.